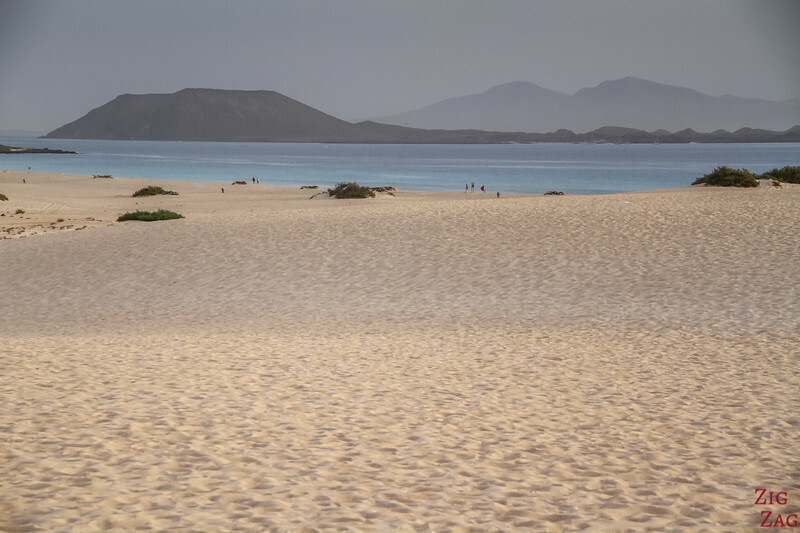 Discover the magnificent Corralejo Sand Dunes Natural park in Fuerteventura in photos: the golden sand dunes, the dark volcanic rock and the turquoise water. 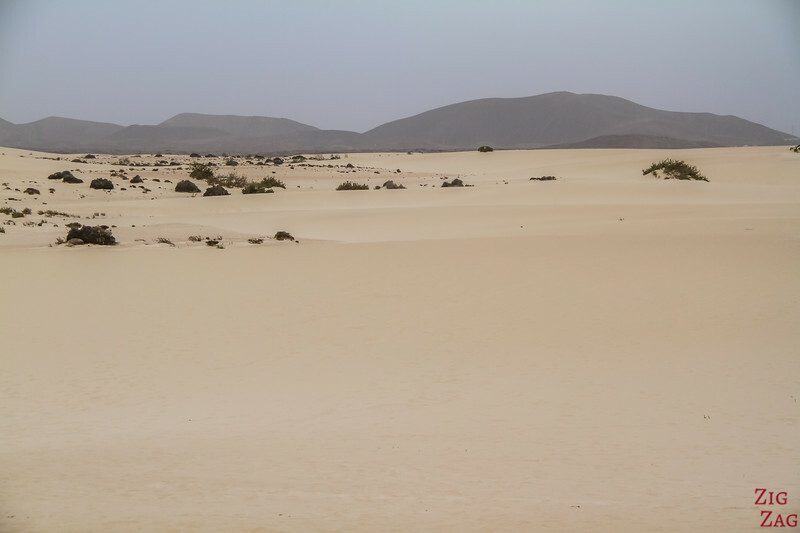 Below is my guide to help you plan your visit to have fun in the Corralejo dunes, one of the best excursions on the island. 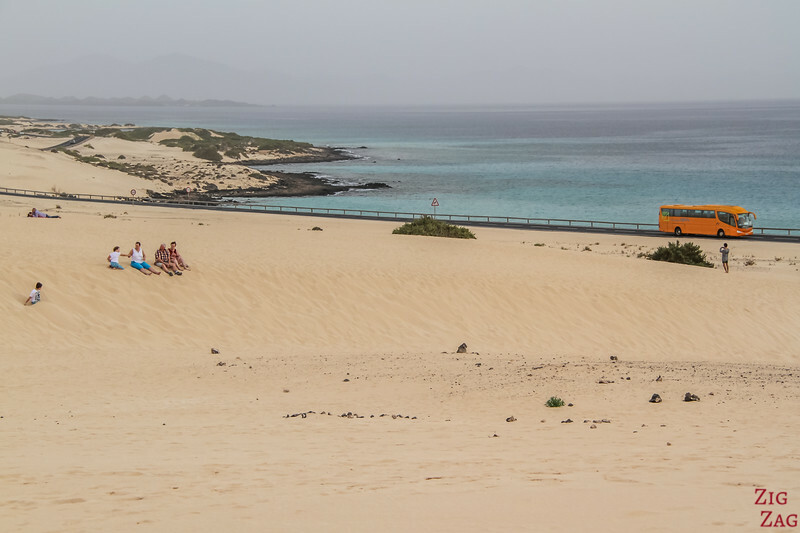 What is the Corralejo Natural park? 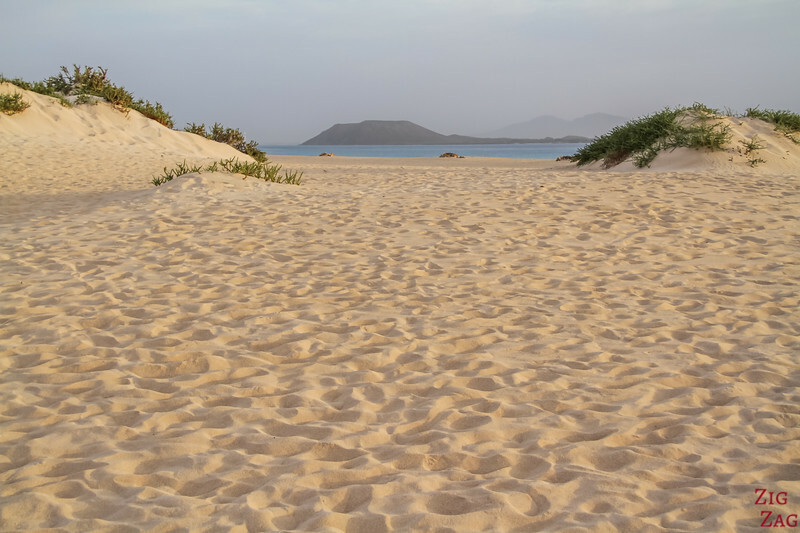 The Natural park is locally called Parque Natural de las Dunas de Corralejo. 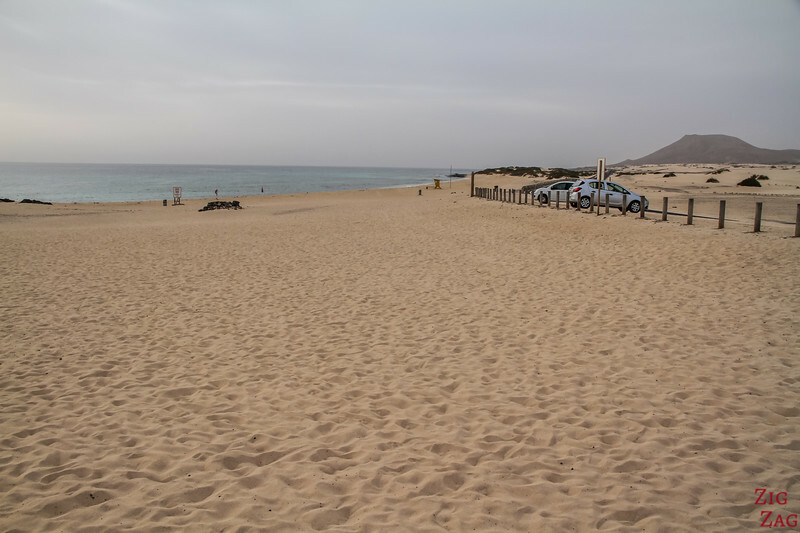 It is one of top attractions in Fuerteventura. It a a protected area, easily accessed in the North of the island. 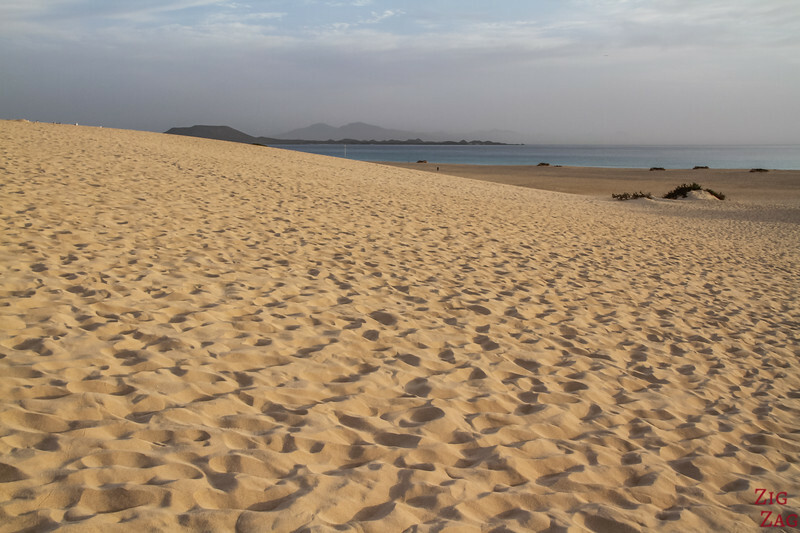 It has been made a park in 1982 because the 2.6ha covered with sand dunes that have organically formed. 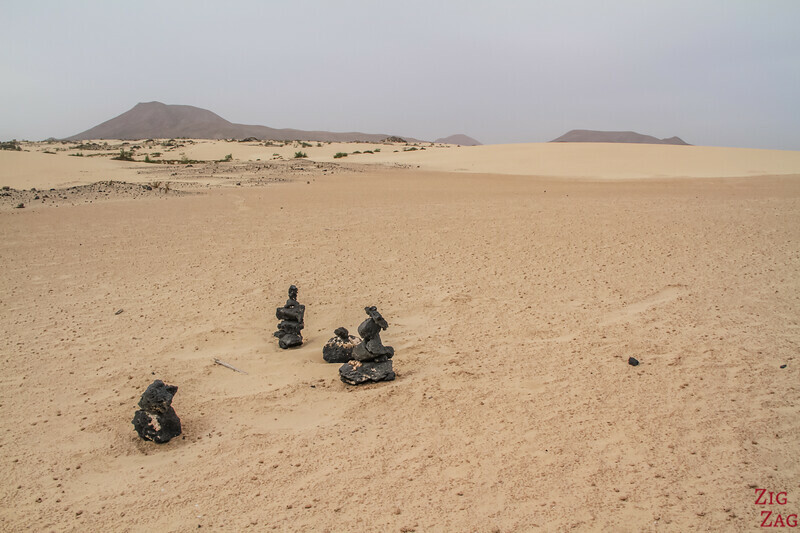 This is quite a surprise on these volcanic island to see such a large area covered by sand dunes. Most of the time there are only a few small ones. But here they are a few meters high and cover a large area. 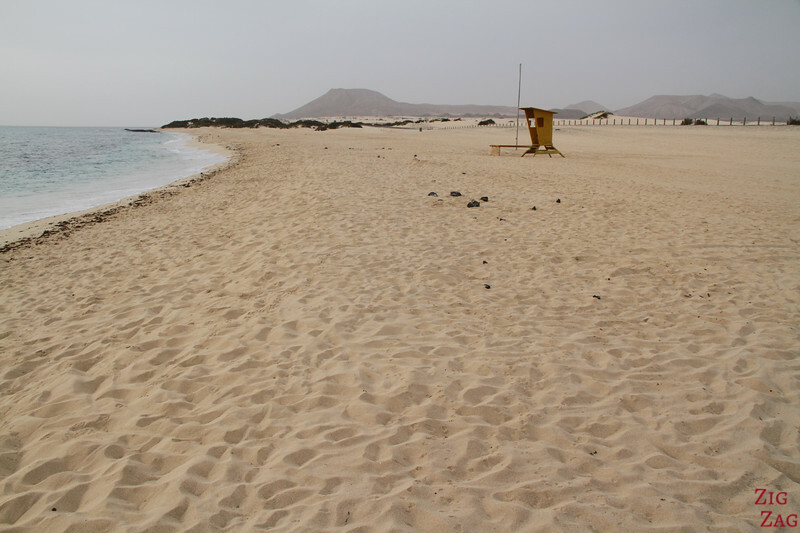 Plus the white sand contrasts with the dark volcanic rocks and the turquoise of the water as the dunes reach the beach. 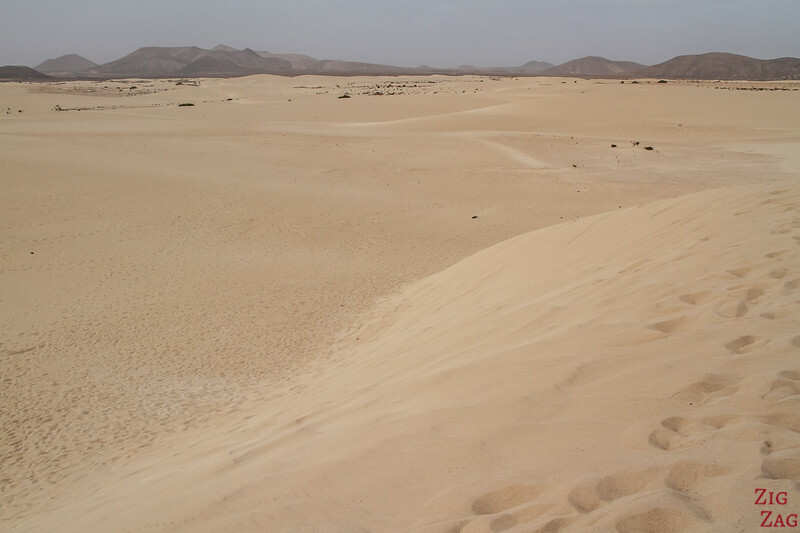 There is a rumour going on that those dunes were formed by sand blown from the Sahara. This is not true. This story does sound magical and inspiring but it is scientifically proven that it is not true has the sand has been analysed many times. They actually formed like beaches, by the desintegration of shells and marine organisms. 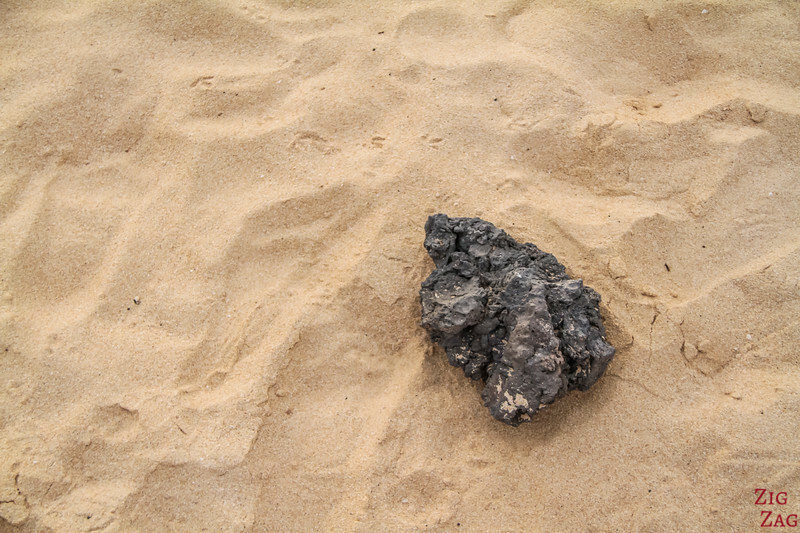 Under those meters of sand is typical volcanic rocky soil. Before I show you more photos, Here are my tips on how to get there by car or by excursions, and where to stay. 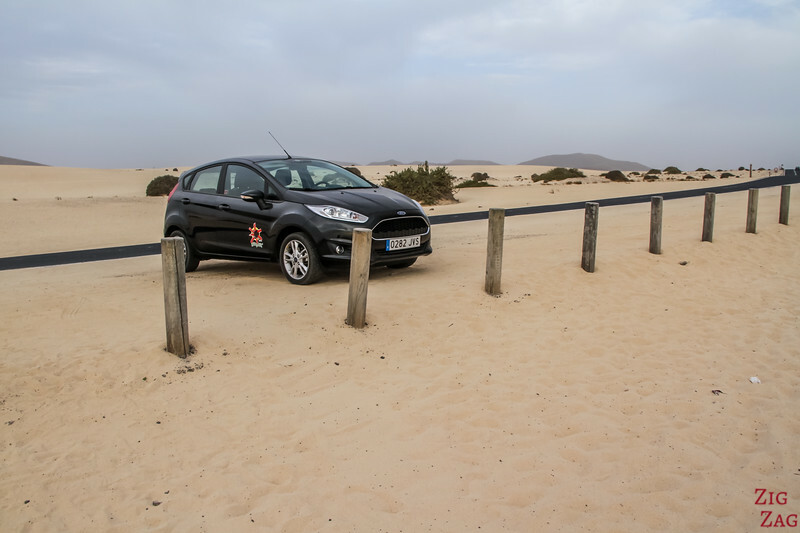 If you don't have a car you can join an excursion that shows you various aspects of the Fuerteventura landscapes including the dunes. It also covers mountains and sea caves. 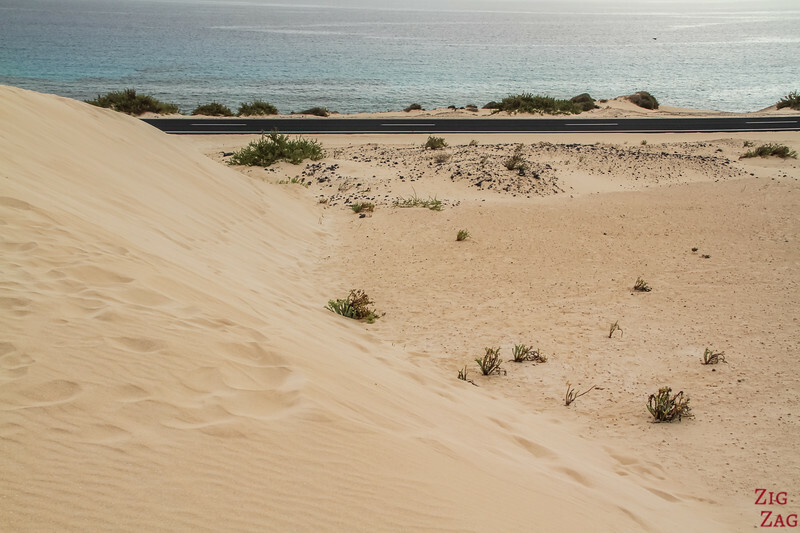 If you want something a bit more adventurous, you can also join a buggy tour in Fuerteventura that takes you to the sand dunes. Be in control of your vehicle and see the unique landscape off road! 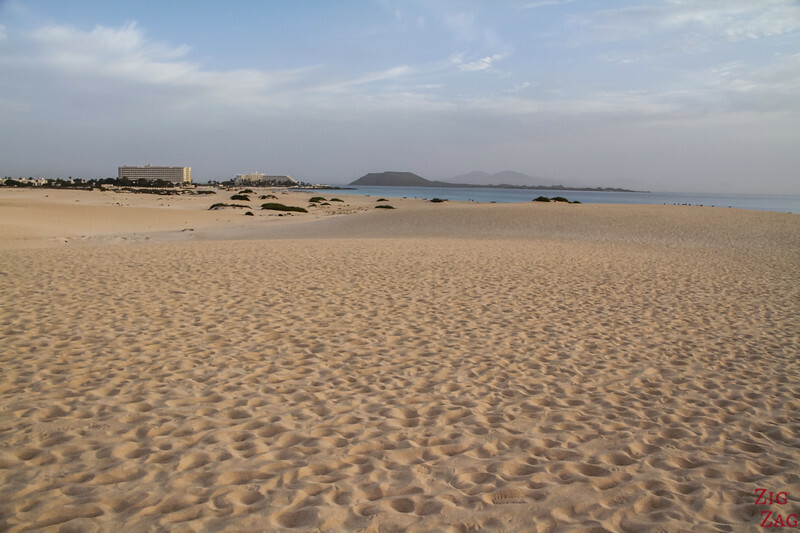 Can you walk from Corralejo town to the Sand dunes? You can walk along the beaches to Hotel and Riu and past the Hotel. 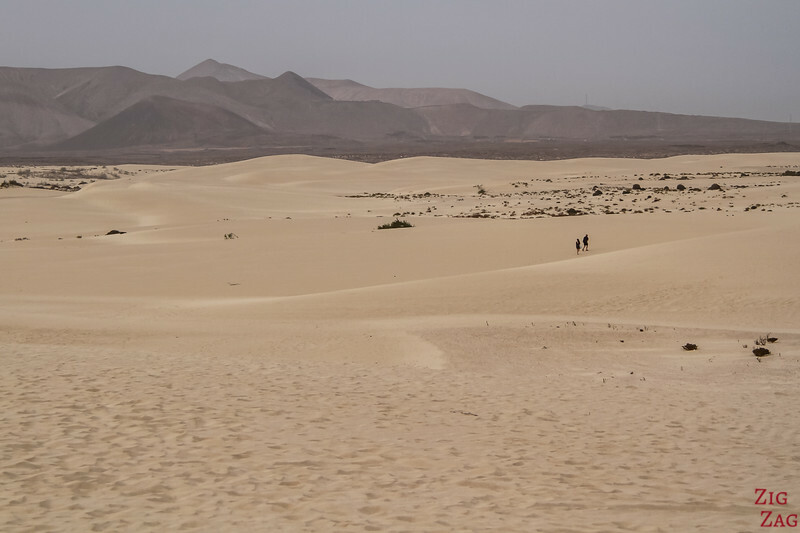 Otherwise there is a bus that runs to the are of hotel Riu at the beginning of the dunes every hour or half an hour (depending on day/time). It is number 6. Check out timetable. The park has around 10km of coastline. 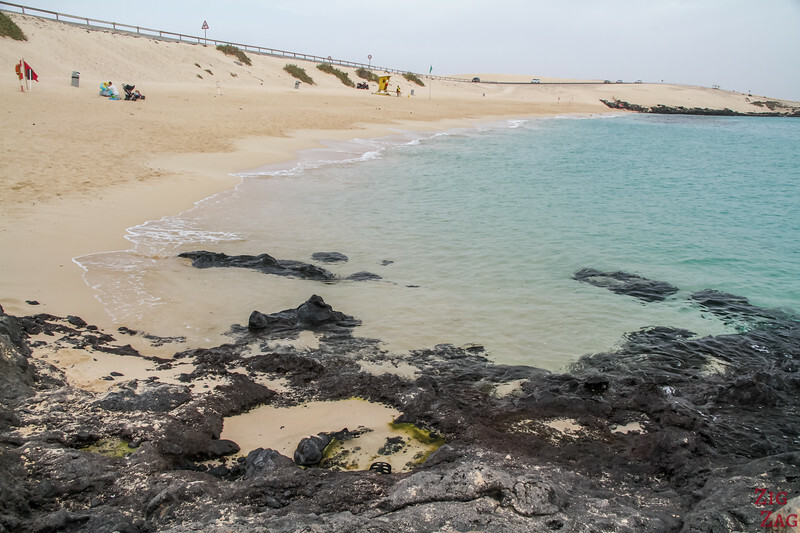 In the North section of the Corralejo Natural park the road is further away from the water. So you have to walk around and on sand dunes to reach the large flat beach. Remember that you are walking on soft sand, so it is more tiring to move around. Bring water! 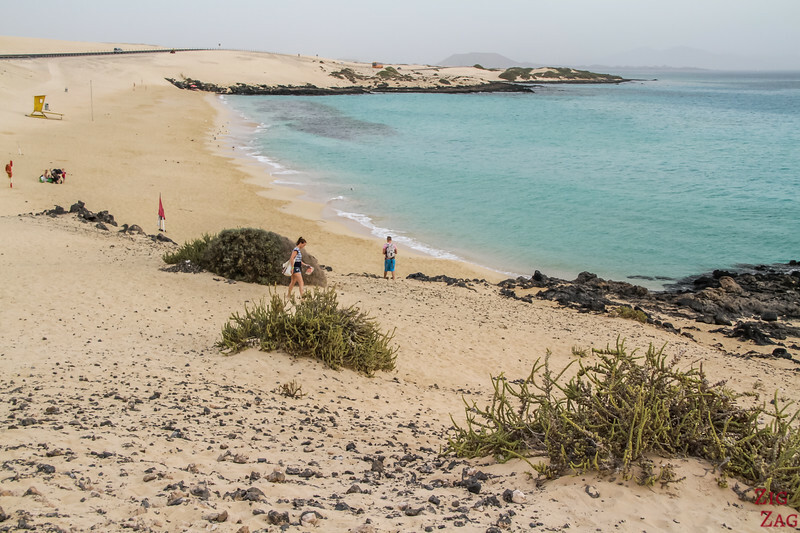 This section offer great views of the beautiful Lobos Island (another great excursion, see my photos). This is why it was one of my favorite. Make sure to always look around you to keep a good sense of direction and where you car is parked. Because sometimes you can't see the road anymore. In the middle section of the park, the road gets closer to the water. You can find parking right by the beach. So you can just get down and relax on one side and explore the dunes on the other side. In the background is the 300m high volcano Montana Roja. This is really more for people who want to stay longer at the beach. Not the most photogenic area. But if you go a bit further South there are smaller beaches which are more scenic to my opinion with the dark volcanic rocks on each side and some higher grounds for great views of the contrasting colours. 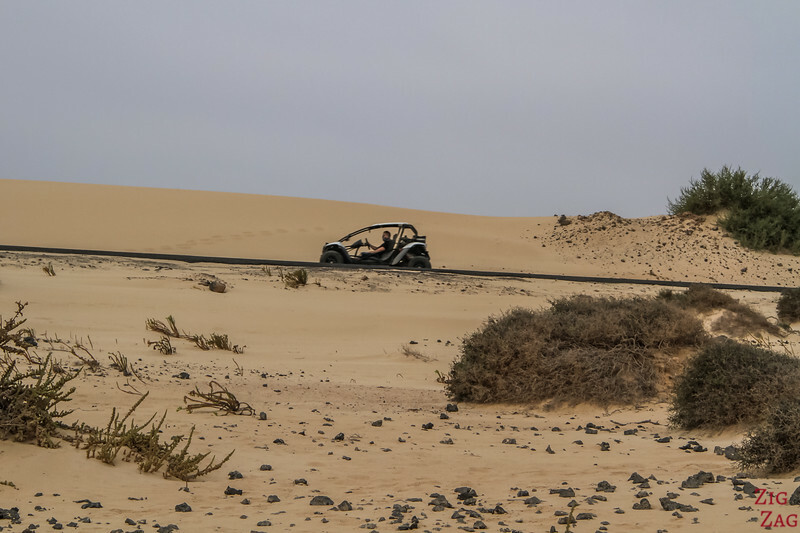 I really enjoyed exploring that area and the Dunes on the other side despite the presence of the road in the picture. 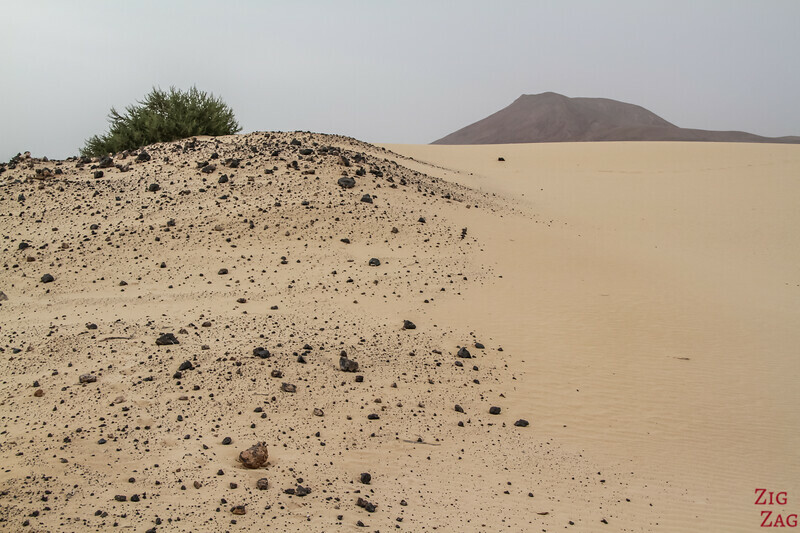 And as soon as you walk one dune over in the opposite direction from the water, it is like entering another world with only sand showing for kilometers and the dark volcanic mountains in the background. 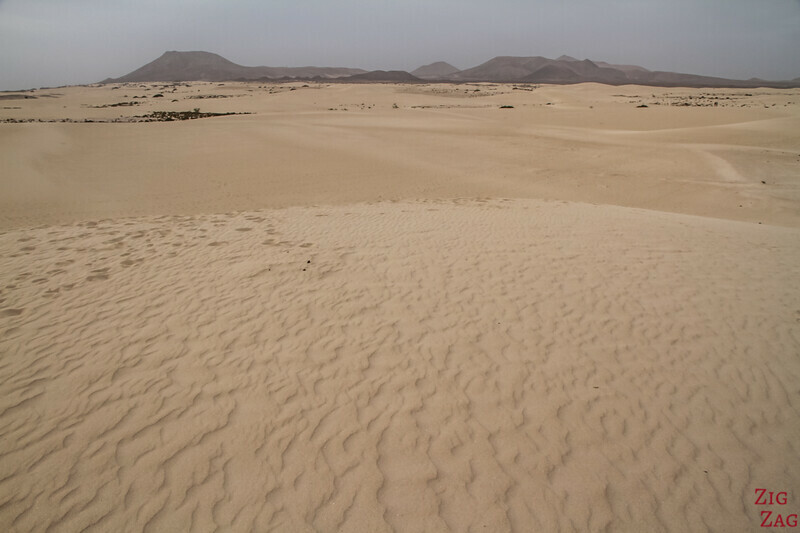 Those sand dunes keep shifting with the wind and the erosion. 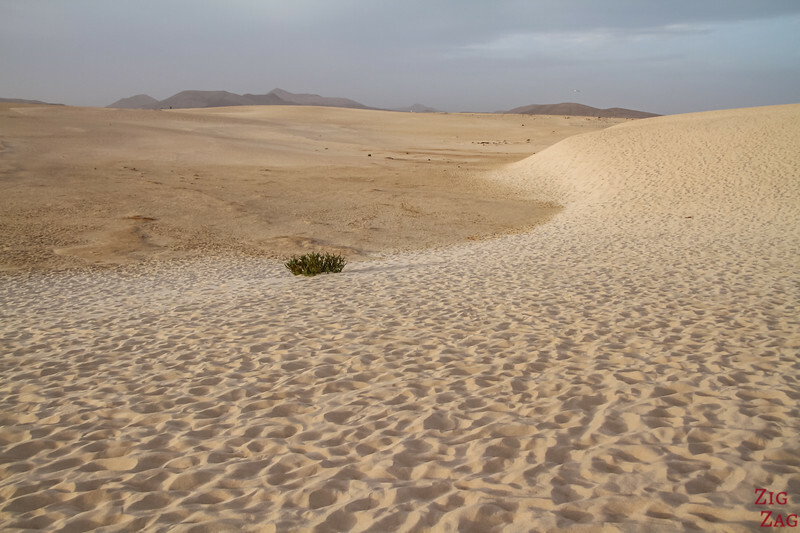 You can find areas where the sand is soft and others where is is quite hard. In some places the wind shapes the sand creating waves that I love photographing. Once again, make sure you always look around to understand where you are compared to the road in order to be able to walk back to your car. It is very easy to get further and further, wanting to see the view from the other side of the next dune. 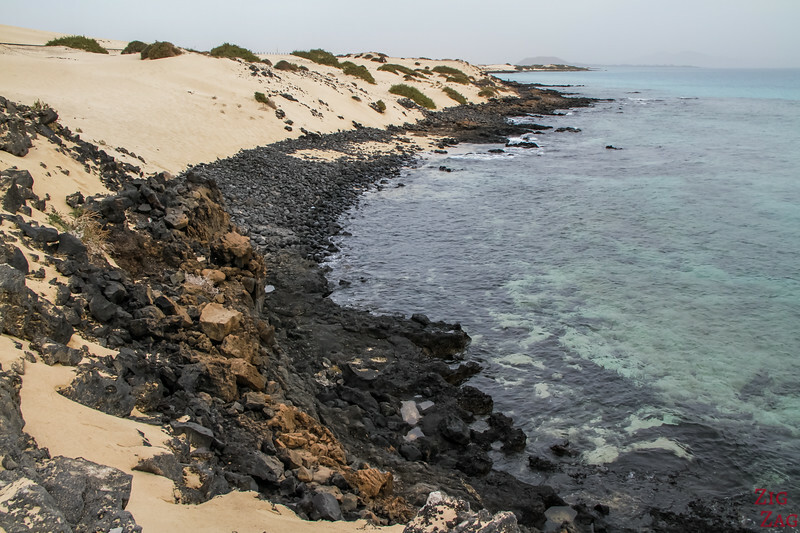 What fascinated me the most was the mix of soft white sand and the dark volcanic rocks. In some area there are packages of those rocks, especially near the water. And sometimes a big bigger. Do you enjoy sand dunes?